XML Sports Feeds' Transfer Center Widget brings you all of the hottest and latest Official transfers and Transfer Rumours, not only during the Transfer Season, but 365 days a year. 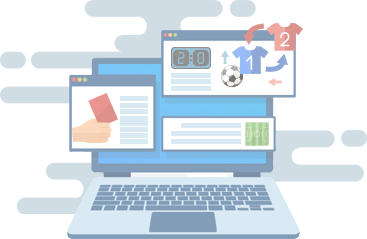 With the Transfer Center Widget, you will get a traffic-boosting solution that is customizable and ready for integration in your website or app. some of the top clubs in football. Please fill out the form below and one of our sports data advocates will be in touch.